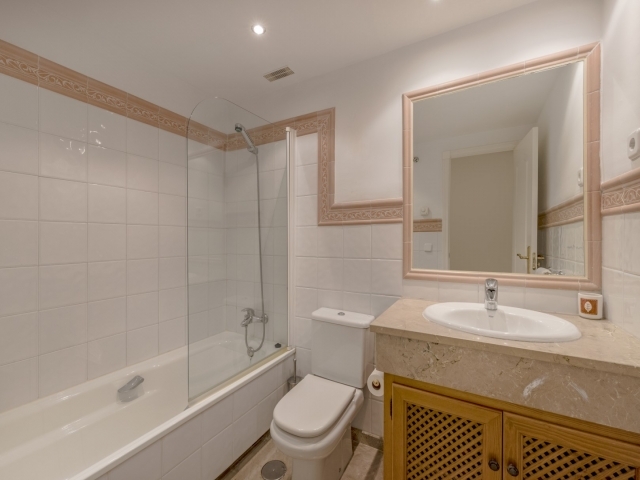 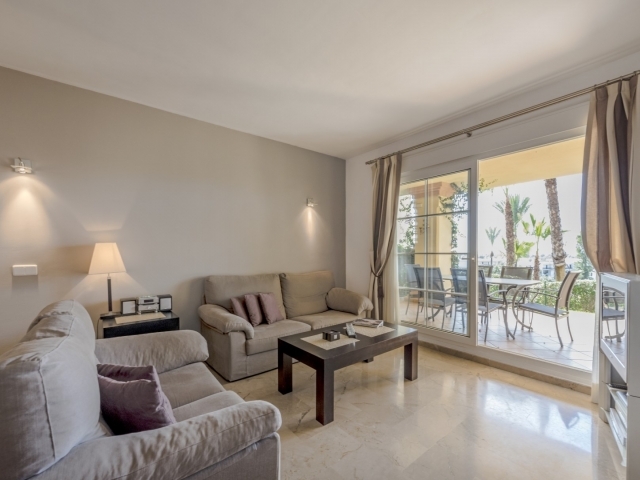 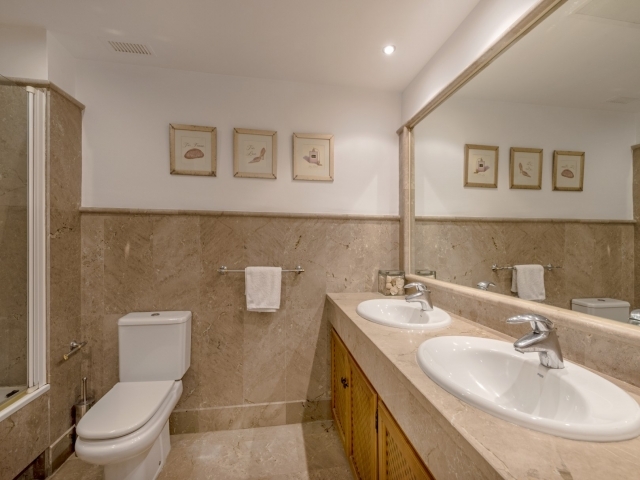 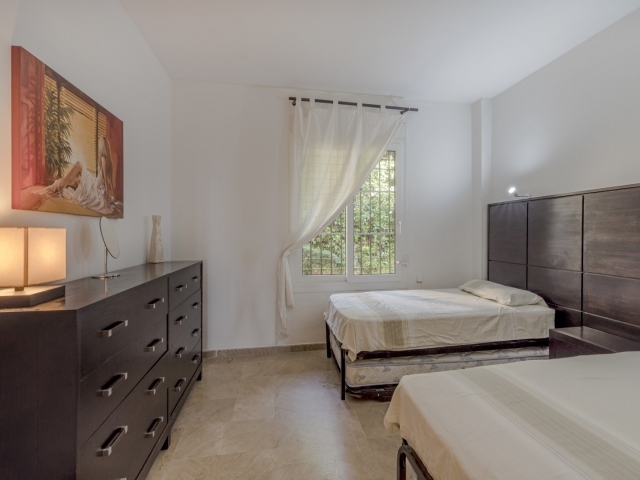 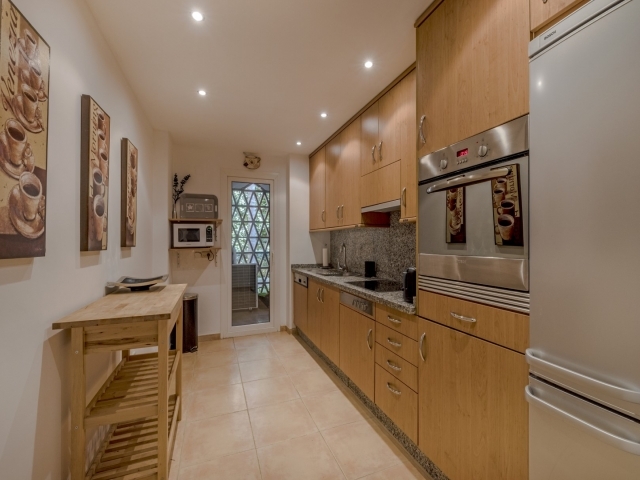 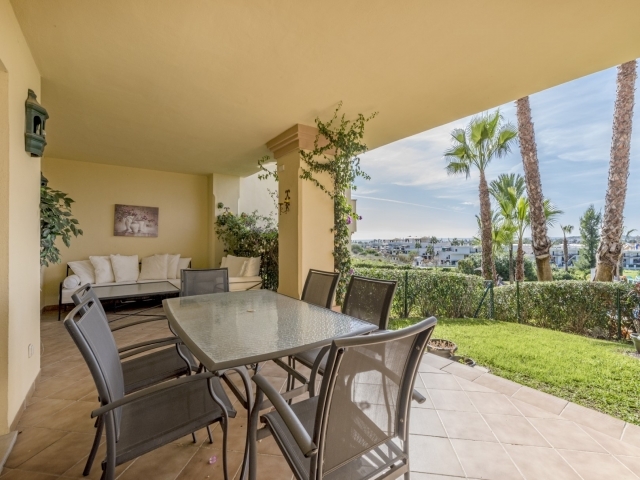 Two bedroom ground floor apartment for sale in the popular residential complex called Cumbres del Rodeo. 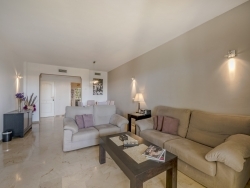 Situated in the elevated blocks overlooking the pool area. 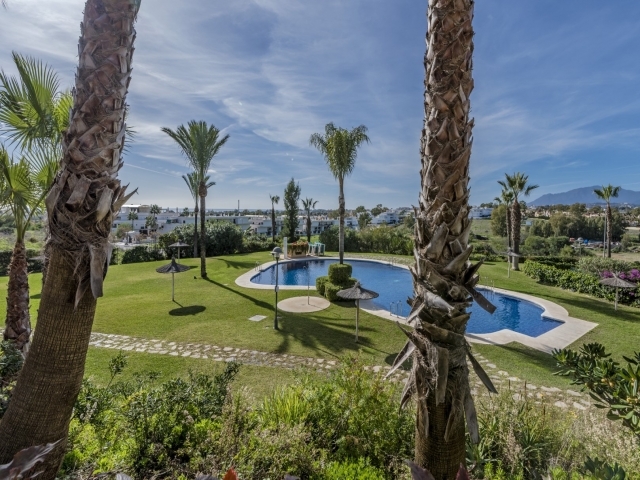 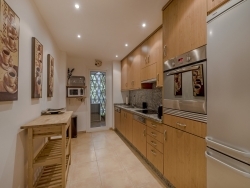 Walking distance to Puerto Banus and the beach. Beautiful mature gardens, large communal swimming pool and garage parking. Combined living-dining room with terrace access, fully fitted kitchen, master bedroom, guest bedroom and two bathrooms. 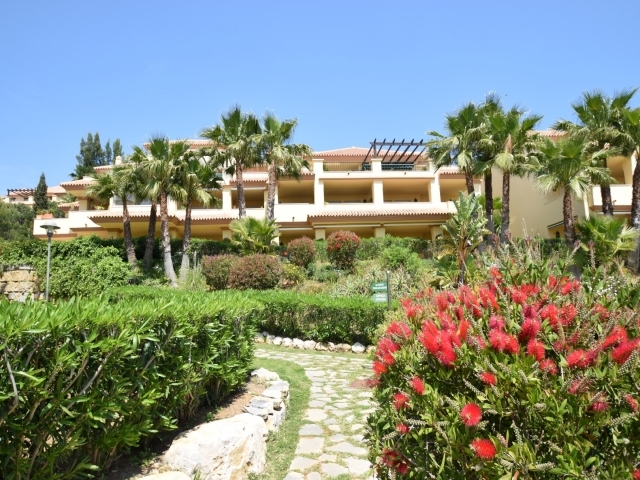 The terrace is a generous size and offering sea, valley and mountain views, here you can enjoy the ample space for dining al-fresco under shelter as well as sunbathing in full sunlight. 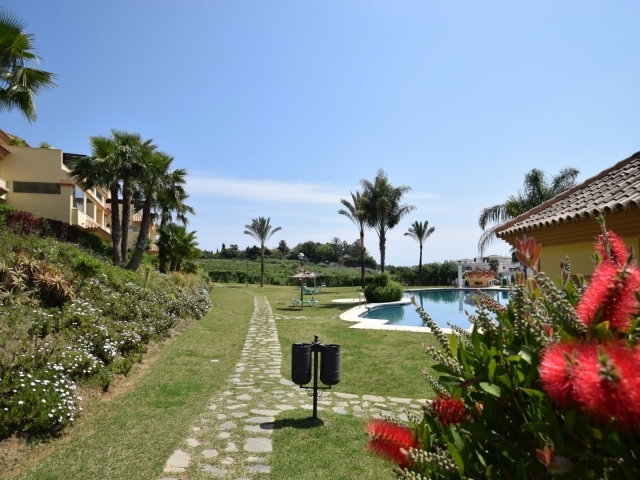 There is also a small private garden. 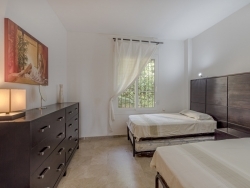 The gated community benefits from a convenient location, just a short walk to bars and restaurants and also within walking distance of the beach. 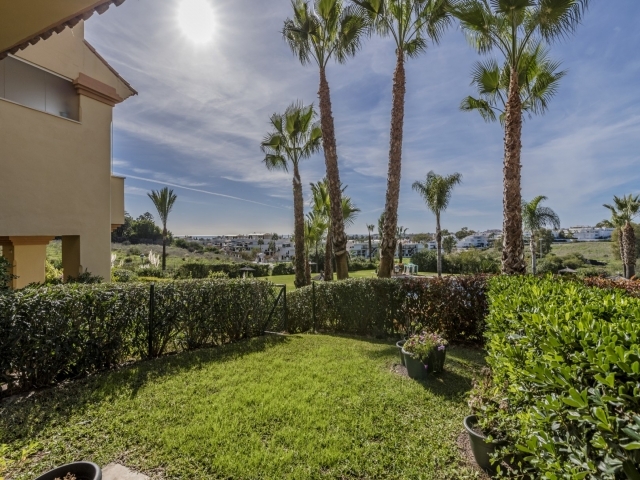 There is a range of renowned golf courses close by with the Nueva Andalucia Golf Valley on its doorstep and other sporting facilities, such as tennis and padel courts, to be found in the surrounding area. 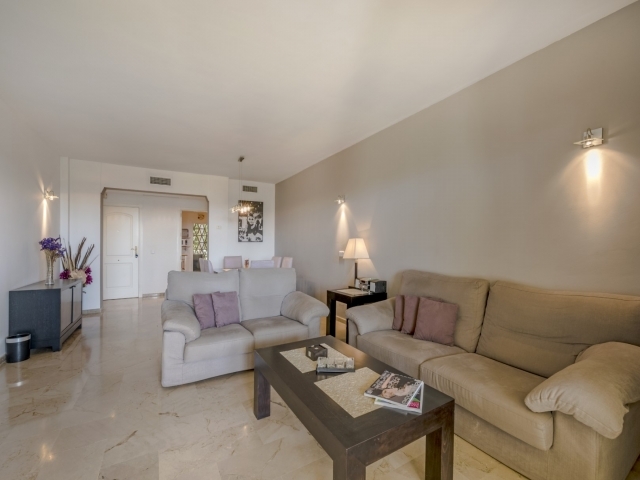 By car Marbella and San Pedro are approximately ten minutes away in opposite directions and Malaga airport is just a fifty minute drive. 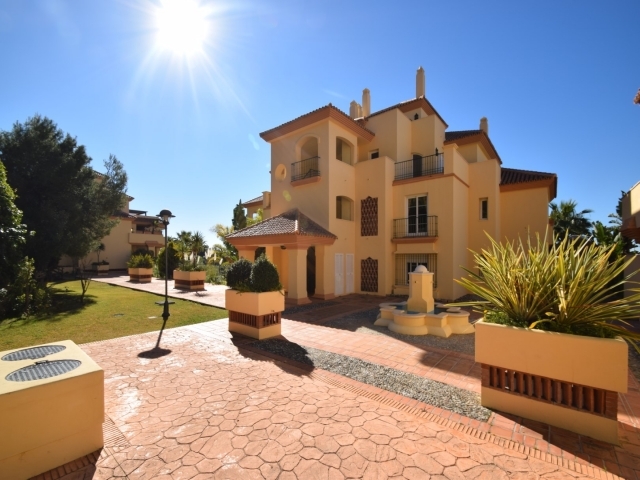 This is a beautiful property in a highly desirable location on the Spanish coast. 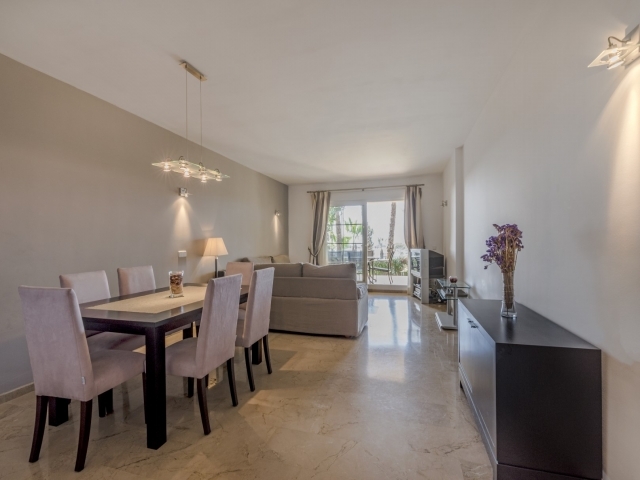 Ideal for families and couples, it is an excellent choice as a permanent residence, luxury holiday home or, equally, an exciting rental investment!